Yury Yakimov was a shift foreman from Severouralsk (a city in the north Urals, 178 km (110 miles) from the Dyatlov Pass). His theory attempts to explain the nature of the injuries, the strange behavior and many other inconsistencies in the story of the Dyatlov group and is based on the author’s personal encounter with an unexplained phenomenon, which took place during a night shift in an open-pit mine in 2002. The following – the remainder of this chapter – is a translated and condensed account in his own words. On 11 September 2002 I was working as a night-shift foreman at the Ivdel unit of the Bauxite mine. The night shifts generally lasted 12 hours, from 9 pm to 9 am. At the time, we conducted operations at several sites located quite far away from each other (up to 12km between the sites). The mining equipment in №15 pit was at a standstill from the beginning of the shift because our trucks were all busy carrying ore from the №3 ore dump to the ore stockpile near Ivdel railway station. These distant sites were quite far away from the pit, and the №15 pit with the installed equipment was located beside the main road over which the trucks transported ore. There were no people in the pit from the beginning of the shift, and the equipment was unguarded. Shortly after I started on this particular shift, it was getting dark. I went to switch on the electric lights in the pit to illuminate the southern part of the №15 pit and examine the equipment. There had been numerous thefts in the pits during that period, when thieves cut and carried away power cables, took wires off the power transmission lines and stole ferrous metal items to sell them to scrap collectors. As I mentioned, equipment in the pits was unguarded and so shift foremen had to keep an eye on the equipment as well as get on with their work. It was 11 pm and dark and I was walking down the road leading to №15 pit. I was already near the transformer from which I could turn on the floodlights to illuminate the pit, when approximately 200m away from me I saw a strange shaking white light moving up and down the side of a rock dump. It was as if someone was sitting in a car with halogen headlights and was moving it around wildly. The light bounced up and down the side of the dump. The distance from the source of the light to the side of the dump that it was illuminating was about 100m. There was not a single sound, only leaves rustling in a slight breeze, and a little drizzling rain started falling. Suddenly a beam of light from the unknown source started turning in my direction and shone on me across the forest. I rushed off the road and ran to the transformer (it stood at the roadside), opened the transformer box door and turned on the lighting in the pit. Lamps then illuminated the southern part of the pit, but the broad beam of light from the unknown source continued shining on me. It flooded the whole of the forest around me with a bright white light. The light itself was as bright as day and it seemed as if the trees had no shadows. I stood behind the electrical box, near the transformer, with my face turned away. There were two or three minutes of agonizing suspense, then the broad beam of bright white light slowly moved away from me. Everything was still quiet. I looked again in the direction of the source of the strange light and saw how the beam of light from the source again started moving towards me. I noticed a couple of flashlights had separated from the source and were moving in my direction. At first there were two of them and they seemed to be swinging. They moved fairly quickly across the forest towards me. I turned away then looked up again. Now there were four or five of them, maybe more. They struggled through the forest as if enveloping tree trunks. It was as if several people with strong torches were moving through the thick forest trying to spot me. Unintentionally, I looked away again and froze. Immediately the torches left me alone. There was something very strange going on. These were certainly not thieves. It was something different, very strange and unusual. I realized that I had witnessed an amazing and unusual phenomenon. Clearly, this source of light seemed to react to my glance, it dazzled me with its light and sent the swinging torches in my direction. When I turned or looked away to where the source of light could not be seen, the torches did not react to me. Nor did they react to the lamps (two of them) that illuminated the southern part of the pit. I went down the temporary exit road in the western part of the pit and examined the shovel and the feeder cable. Everything was intact. There were no tracks of a vehicle either in the pit or on the road near the pit. The road was wet after the rain and any track would have been visible. There were no other roads leading to this pit. While down in the pit I kept thinking of the unusual dancing lights. What were they? Where did they come from? Why did they react to my glance? As I was leaving the pit I again saw the continuing dancing of light on the side of the rock dump. I looked to the right, in the direction of its source, and again a beam of light immediately came in my direction. The same thing was happening again. There was no doubt. The source of light appeared to react to a human glance. It was something I could not explain. I felt weird from the strangeness of what I had seen and I felt anxious and uneasy. To put on a show of bravado, I shouted as loud as I could, ‘Hey! Hello! What’s up?’ Then I whistled and cursed. But the inexplicable light phenomenon did not react either to my curses, or to the whistling. And then, from far away, the wind brought the roar of an approaching heavy loaded truck. There was no reaction from the source of unusual light to this sound. I looked again at the light dancing on the side of the dump. Once again, a beam of light from the source came in my direction. I did not want to tempt fate any longer and left the place. I walked to the fork of the main road and soon the truck with a load of ore appeared. I climbed into the cabin and told the driver what I had just seen. I felt he was wary of what I was saying, but I didn’t try to convince him or prove anything. I felt extremely tired, sluggish and jaded. Probably it was because I couldn’t get rid of the feeling of anxiety and danger that I felt as a result of the strange light. Who knows? I personally would not have believed it if someone else had told me such a story. But I had seen it and I could not just get it out of my head. For a brief moment I even had a crazy idea to go back there, to the pit, to break through to that source of light and see what there was behind it all. But the feeling of anxiety and danger from what I had seen did not leave me, and I gave up the idea. For the rest of the night the trucks continued carrying ore from the №3 intermediate ore dump to the railway station stockpile and did not stop off near the №15 pit where I had seen the unusual light. In the morning at about 7 am, when dawn had already broken, the trucks started carrying ore from the №15 pit to the ore dump. No tracks of other cars or vehicles could be seen after the night rain on the wet road leading to the №15 pit. There was not a trace near the place where I had watched the unusual light source either. Where the light had come from and how it had appeared in the №15 pit – and where it had gone – remained unclear. It left no trace of its presence. Everyone refused to believe me when I tried to tell them what had happened. ‘This is just your imagination. Things do happen sometimes …’ Should I have tried once again to prove that I was not seeing things? But what did I have in order to prove what I was saying? No tracks and no evidence. Eventually I stopped thinking about it. After a few days, the story of the light that had reacted to a human glance was almost forgotten. Then, after a week or two, late in September 2002, I got a copy of the newspaper Za boksity. I had been subscribing to the paper for several years. The paper came with a supplement entitled Ecoved, dated September 2002, №9/29, and it gave information about the Denezhkin Kamen nature reserve located in the territory of the Severouralsk district. Under the heading ‘News from Forest Cordon’, I read this: An unusual phenomenon has been reported by Reserve Forest Rangers V Yefimov and VS Rudkovskiy when they were returning from their inspection round of the Yelovsky Ridge. At 9pm the rangers’ attention was attracted by a bright electrical light ‘as if from a projector’ directed from west to east. One of the eyewitnesses described the unusual phenomenon: ‘I looked harder and saw that it looked as if two people were moving in my direction holding torches. The weather was clear and it was quiet. I decided to get nearer and see who it might be. When I was about 5 or 10 metres from the fire the number of torches suddenly increased to seven. I hid behind a Cedar and cautiously looked out, but was immediately dazzled with the light coming as if from a projector. There was some ‘set’ in front of me which, for some reason or other, reacted to a glance only, and in no way to a glowing cigarette. At 1.30am I heard a loud bang. The light went off. I went to sleep and slept quietly until morning, nothing else happened. At 7.30 in the morning I walked around, but saw nothing suspicious. I put the paper aside. Wow! It was almost the same as what I had seen two weeks before, on 11 September 2002, near the №15 pit! The main thing was the light that came from an unknown source and reacted to a human glance, and the swinging torches that advanced when a person looked at them. I felt I had to get in touch immediately with these rangers, talk to them and ask about details. At least find out the date when they met with this phenomenon. Was it on 11 September 2002, or some other days in September? Judging by the weather, this had been a different day. I estimated the distance on the map. Pit №15 is located in the 11th quarter of the Laks forestry area. It is about 40km north-east of the place where the rangers of the Denezhkin Kamen reserve saw this ‘light phenomenon’ from their night camp. At the bottom of the Ecoved I found the address of the Denezhkin Kamen administration and the telephone numbers. I rang the management office. 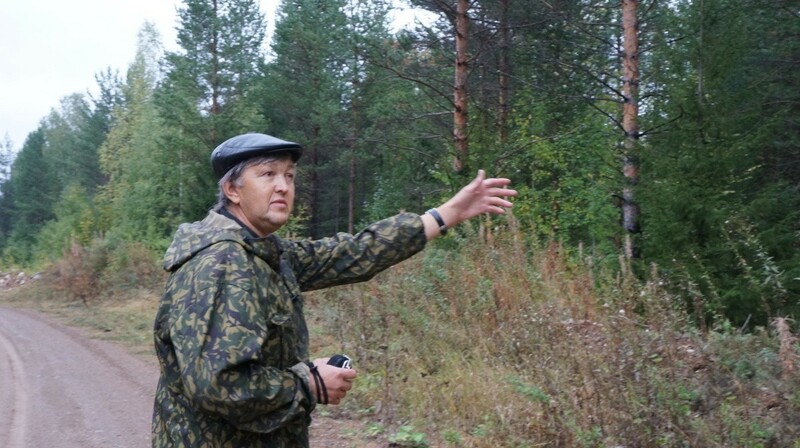 I explained to the people there that I had seen a phenomenon similar to what their forest rangers V. Yefimov and V. Rudkovskiy saw. I wanted to meet them and talk it over with them. The answer was that the rangers were in the forest doing their rounds and no one knew when they would be back. In October/November 2002 I called the office again three times, but received the same answer: they were still in the forest, and no one could say when they would be back. So, at that time, my attempt to meet and talk to them failed. With time, my interest regarding the matter faded. Not that I had forgotten about what had happened, it was just because the everyday routine of work had moved it to the far corner of my mind. Also, I did not think of it as anything significant. I never thought that I would, at some point, get back to the events of that night. Over three years passed. On 9 January 2006, close to midnight, I was at home watching TV. I pushed the buttons on the TV remote control searching for an interesting programme. My attention was drawn to a programme called A Mystical Hike on one of the local TV channels. I saw just the last ten minutes of it. However, I had time to understand that it was a story of the Dyatlov hiking group who perished in February 1959 in the north of the Sverdlovsk Oblast in mysterious circumstances: nine hikers in great haste had left their tent near Mount Kholat Syakhl, with almost no clothes, almost barefoot – and froze, all of them. It came to me that the place was close to where I had been working in the mine. What was it that made the hikers leave the tent in such a hurry? Maybe they met with the same phenomenon that I saw near the №15 pit in the vicinity of Ivdel, and which the rangers in the Denezhkin Kamen reserve also saw in September 2002? Maybe this had been the cause of their death? I remembered that once I came across some publications in the press relating to details of the deaths of the nine members of Dyatlov’s group who were hikers from UPI. Also a long time ago I once came across a book in which the characters were copied from the dead Dyatlov students. The information about the incident was extremely scanty. All the information I came across regarding the deaths seemed to consist more of rumours than fact. Somewhere, someone had heard or read about it. I began to search in the libraries for as much information as possible about the hikers group in the north of the Sverdlovsk Oblast. I wanted to then try and compare what the nature reserve rangers and myself had seen in September 2002 with the tragic incident that befell Dyatlov’s group in February 1959. Could it be that we had met with the same phenomenon that killed the ski hikers? I decided I must meet the rangers V. Yefimov and V. Rudkovskiy, as they would have more detailed and extensive information than what was described in a brief article in Ecoved. I spent several days in libraries searching for materials or any publications on the Dyatlov group deaths, or anything related to the subject. In the technical library of the SevUralBauxiteRuda (SUBR) JSC they told me that they had heard and read about the Dyatlov tragedy in 1959, but no materials were available in the library. The library of V. Cheryomukhovo had nothing on the subject either. At the Central City Library I searched the card index, but again, in vain. All the librarians had heard something about the incident, but material about the mysterious tragedy could not be found. I was advised to contact the City Library branch located in the House of Culture known as ‘Sovremennik’. There was a telephone number. It was my last hope to find any material on the subject in our district. If I failed there, I would have to contact the UPI hiking club, who I was sure would tell me where to find materials on the Dyatlov group deaths. Irina Akinshina, a librarian at the ‘Sovremennik’, found a few newspapers and magazines with information about the tragedy. I am very thankful to her for that. I picked most of the information from the magazine Ural №12 for 2000 and №1 for 2001, from the story ‘The Dyatlov Pass’, by Anna Matveyeva. Here I learned all about the tragic event. Simultaneously, while searching for materials about the Dyatlov group, I was trying to locate the rangers Yefimov and Rudkovskiy. These were the two who were mentioned in the newspaper Ecoved in September 2002 and who had witnessed an unusual light phenomenon. I wanted to hear more details from them. Could it be that such a light phenomenon was the prime cause of the Dyatlov group deaths? I sensed that she was not very convinced about such matters as strange light phenomena. It was understandable. Why should she be bothered with any mystical and strange events? I asked her where I could find Yefimov. Her response was, ‘He is from other parts. I don’t know where he lives and works at present.’ I learned from other workers at the nature reserve that Yefimov was probably for some time employed at the Nordwood logging company. I visited their office only to learn that no one knew V. Yefimov and that no such person had ever worked there. It was proving to be a hard job to find him. I thought about putting an ad in a newspaper, but he might have left the district altogether. I still hoped to meet Rudkovskiy. The world is not without the good people. And good people gave me his address in the third Severniy settlement. I went to the settlement, found the flat where he lived and knocked at the door. A lean but strong old man with a bushy beard opened the door. It was him, Valentin Rudkovskiy. I introduced myself and in some confusion explained the aim of my visit, that I had seen a light phenomenon similar to the one he saw in September 2002. I wanted to hear his story in more detail, I said. This was not just curiosity, but rather an opportunity to understand and explain the death of the people in 1959. I also told him about my attempts to find him back in 2002 after the short publication in the Ecoved. He met me with interest and was very kind. We had a long talk that night. He was over 60 then. 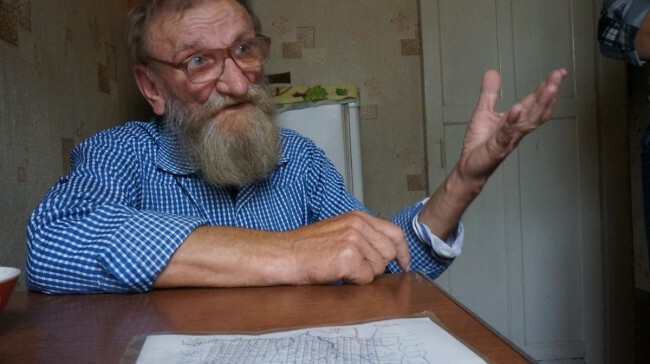 For many years he had worked as a drilling foreman in a geological survey party and when the company closed, he was offered a position as a State Inspector (Forest Ranger) in the Denezhkin Kamen nature reserve. It was just the job for him: he liked the forest and felt that in the Taiga he was in his element. I, Rudkovskiy, Valentin Stepanovich, a State Inspector of the Denezhkin Kamen Nature Reserve, have on 29 August 2002 become witness to an unusual phenomenon in the following circumstances: I was on my way back from the Yelovsky Ouval, where I made my records, to the Solva tract, and not far from the quarter pole in quarter 357 had to stop for the night in the woods. I was alone and I made a fire about 70m from the quarter pole 357–343. I made tea but had not yet eaten. Suddenly, at 2200hrs, I saw a beam of strong light. The impression was of a neon or halogen floodlight. It pierced the forest to a depth of about a kilometer. The source of light was at some height above the ground, which I could not define, and shone at a distance of 150–200m from me in the west–east direction. I started looking in the eastern direction, when suddenly, from that side, I saw two swinging spotlights appear, the impression was of people moving extremely fast in my direction as I stood looking at them. I thought someone was joking, or wanted to scare me and get near my fire. I dressed quickly and decided to scare them myself. I put on my boots, grabbed the gun and went to meet them. I walked about 20m, then lay behind a fallen tree trunk and looked in the direction of the spotlights. They rushed very fast in my direction exactly at the moment I looked at them. All was quiet. Not a single sound could be heard. I raised myself from behind the tree trunk. The spotlights were approximately 50–70m away from me, but they were no longer two, but seven or eight now. They dazzled me. Immediately I lay on the ground behind the tree trunk and turned away from the spotlights. Whenever I raised my head to look at them, they would again shine on me, and dazzle me while approaching. So I spent about one and a half hours lying on the ground behind the tree trunk. I did not look at the source of light. I realized at that time that I had met something unusual, and that those had not been people but something else that could not be explained. All was quiet as before, no strange sounds. I noted that the spotlights reacted to my eye only and decided to check whether it was true. I struck a match and lit a cigarette – no reaction. Then, in one and a half hours, I saw that the spotlights had moved and were now shining on me not from the east but from the north, still at a distance of 50– 70m from me. The distance between the spotlights and the main source of light was approximately 100m. I went near my fire trying not to look, either at the source or at the spotlights. The fire was already down, I threw in more firewood, warmed my meal and ate. And then I saw that there was another beam of light from the source, now going not in the east–west but in the north–south direction as well, that is the one and the same source was now emitting beams of strong light, like that of floodlights, in two directions at approximately 90°. The light illuminated every blade of grass, the trees threw no shade. I was not looking at the source of light. I lit a cigarette and smoked, sitting with my back against a cedar tree. In all the time the light was there I made no sounds and did not shoot. At 2.30 am I heard a snapping sound as if from an electric discharge and the light was gone. Then I felt a strong gust of wind which lasted some two to three minutes. Then all was quiet again. I spent the rest of the night near the fire. In the morning I went around the place where I saw the source of light and spotlights, but noted nothing unusual or suspicious. The next day I went near to the village of Solva. I described the unusual phenomenon I had seen to my colleagues, V.M. Yefimov and A.N. Degtyarev. A former worker of the Denezhkin Kamen nature reserve, Ye Karpusheva, asked me in detail about this unusual phenomenon. Soon after that, a description of this event appeared in the September 2002 issue of Ecoved. I hereby certify as true the above, as recorded from my words. Valentin seemed anxious after recalling this event. He made a sketch of the forest quarters, the position of the light source, the movement and trajectory of the spotlights and where he lay for one and a half hours behind a tree trunk. – Will you show me the place where you spent the night and saw the light? – Sure I will if you want. Although the Mansi advised me not to go there anymore. – Who else might have seen such a phenomenon at that time? – I was alone there. The next day I went to Solva and told V. Yefimov about it, and later to V. Borodyuk, and also to the senior ranger A. N. Degtyarev. – Where can I find them, to have a talk on the issue? 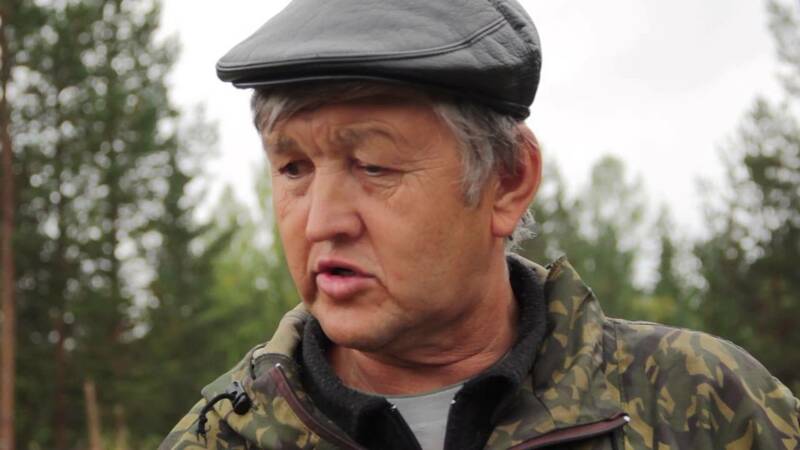 – Degtyarev has now left the nature reserve, he now lives somewhere in Cheryomukhovo; V. Borodyuk now lives near the Kalya [a river in Karelia, in the north-west of European Russia], he has a house there, but I don’t know his exact address. Yefimov lived for some time in Severouralsk. It is two years now since he had left the job at the nature reserve. I have heard nothing of him since then. If you happen to see them, give my regards. It was time to say goodbye. Valentin gave me the nature reserve quarters map so I could easily take my bearings and find quarter №357. We agreed to meet some time after and continue our talk. I took a picture of my hospitable friend and promised to bring him the photo. I needed some time to think over the information I had received from him. I needed to look into this conflict between the newspaper information and the story told by Rudkovskiy. If I had met him immediately in 2002, it might have been easier, while the trail was still hot. But now, more than three years later, the task was getting more complicated. I had to know the exact date of Rudkovskiy’s night in quarter 357. This could be established by the observation diaries of Rudkovskiy and Yefimov for September 2002. I wondered whether they had noted the fact of a night camp in quarter 357, and if the diaries still existed at all. Again, I called the nature reserve director, Anna Kvashnina. I told her about my meeting with Rudkovskiy and asked her to clarify the date of the event. I also asked her if I could see Rudkovskiy’s diary for September 2002. Her answer was that the diaries were kept in the archives in the office in Vsevolozhsk. She said: ‘Nobody is going to search for anything for you. Get in touch with the worker for the nature reserve, Galina Neustroyeva, and go along and see for yourself.’ What an opportunity … to get hold of the observation diaries for September 2002! I decided to go to Vsevolozhsk immediately. Galina Neustroyeva, a lab assistant, advised me on the telephone how to find the nature reserve office in Vsevolozhsk. We agreed that I would catch the first bus there, and she would find the rangers’ diaries for me. I wanted to make sure from the diaries that V. Rudkovskiy met with the ‘light set’ on 29 August 2002 and not in September 2002, as the account in Ecoved newspaper asserted. It was the end of January 2006, biting frost, minus 30°C with a strong wind. As I waited at a bus stop I was frozen to the bone, despite my sheepskin coat and felt boots. Just then I thought of the members of the Dyatlov group on the side of Mount Kholat Syakhl open to winds, on that night of 1/2 February 1959, when they were left without their warm clothes, shoes, hats, mittens, far from warm houses, and without hope of help from anywhere. How long could they stand that? What was it that made them leave the tent so hastily, without clothes, without an opportunity to get back? I found the office in Vsevolozhsk in a small house in Plaksina Street. Galina brought the observation diaries of rangers Rudkovskiy and Yefimov for September 2002. I sat down and started reading. On the nature reserve map I traced their routes in every forest quarter in September. Neither Rudkovskiy nor Yefimov had been to the Yelovsky Ouval in September 2002. I looked at the date: 11 September 2002, exactly the day I watched the ‘light phenomenon’ in the Ivdel district near the №15 pit. The weather on that day was the same as in the Ivdel district near the №15 pit, but on that day V. Rudkovskiy was too far away from quarter 357. Also, in Rudkovskiy’s diary for September 2002, there was no mention of a night camp in the woods. I remembered Valentin mentioning that it was his habit to make a note of every night he spent in the woods in his diaries. The September 2002 inspection routes of Rudkovskiy and Yefimov were also different. Clearly, Rudkovskiy’s observation of the ‘light phenomenon’ had occurred – but on 29 August 2002, not in September. He was also alone. The date was now clear. I said goodbye to Galina and caught the next bus from Vsevolozhsk. It was now important to locate and talk to the people who met Rudkovskiy after his encounter with the ‘light phenomenon’. They may add or at least clarify certain things. After some time I was lucky to find former nature reserve workers who were mentioned by Rudkovskiy: A. Degtyarev in Cheryomukhovo, V. Borodyuk on the Kalya, and even V. Yefimov in Severouralsk. I talked with Degtyarev over the telephone, and personally met with the other two. All of them remembered Rudkovskiy’s story of the ‘light phenomenon’ reacting to a human glance, which he had seen on the night he spent in quarter 357. All of them talked of Valentin as a knowledgeable forest ranger and a good and honest person whose words could be trusted. I gave them regards from him. I asked Yefimov why his name was mentioned as a witness of the ‘light phenomenon’ in the Ecoved story, despite the fact that he had not been there at that time. He said: ‘You see, it might be that the nature reserve management gave one errand for two to perform. To make it quicker we might separate. I think this was the case that time. That is how my name got in the story, by a mere chance. Despite that, I wasn’t with him that night. Rudkovskiy was alone.’ Okay, so another discrepancy was cleared up. I was told: ‘Well, well, you were really lucky to make Valentin talk about that case. He has never been too talkative.’ I replied: ‘Oh, you see this is probably because we had both had the same experience, only at different times and places, we had plenty to talk about.’ So, what had happened to the nine skiers on 1 February 1959? I tried to look at the situation, bearing in mind the results of the investigation of the Dyatlov case and the group’s diaries, and to reconstruct the tragedy in the context of the ‘light phenomenon’ observations of 29 August 2002 and 11 September 2002. What follows is how I see the events that led to a tragedy on the eastern slope of Mount Kholat Syakh. On the fifth day of the ski trip the group decided to make camp for the night in a tent on the eastern slope of Mount Kholat Syakhl. Most probably, they wanted to start for Mount Otorten at dawn the next day. With a view to using the remaining daylight, approximately at 5 pm they set up the tent with the entrance looking south, and stacked backpacks and other things inside. Someone of the group took the last photo as the tent was being set up. With them they had food for two to three days, an axe, a saw, a small camp stove that could be suspended inside the tent. The stove was filled with firewood they had brought along from the previous camp. The edge of the forest was some 1.5km away from the tent, and there was no other place to take firewood from. The temperature was getting lower towards nightfall and a strong wind blew. According to the investigation data, the air temperature in the region on that day was minus 25–30°C, with a strong wind. A campfire and cooking a hot dinner in the open was out of the question. They did not have enough firewood for that, and the strong wind would prevent it. Most probably Thibeaux-Brignolle, or Tibo as friends called him, was ‘on duty’ that night. The rest took their places in the tent. They took off their outer garments, footwear and hats and lay trying to make themselves warm with their breath, under blankets and their outerwear. They had no sleeping bags, just blankets. There was not much space inside the tent, so all, except for the one on duty, either sat or lay in their places. Each member of the group in turn made records in the group diary of the trip, additionally some of them kept personal diaries, but on that night not a single entry was made. They probably planned to do so after the stove was fired and it got warmer in the tent. They were preparing for a snack: brisket was sliced, and crackers were taken out. There was some coffee in flasks left from the last camp. Tibo, as the man on duty, stayed with his outerwear and boots on. After 6 pm, already in almost complete darkness, Tibo leaves the tent with a flashlight ‘to do a number one’ and is surprised to see a white swinging light probably coming in the south–north direction. Like from a projector, the beam hits the slope of the mountain where the tent stands. Tibo cries to the others in the tent that he sees something very unusual. Being a realist and a materialist (and just out of curiosity) he wants to have a closer look to understand what this might be. He even points his flashlight in the direction of the light source. At this instance the source of light reacts to his glance, changes the direction of the beam and floods Tibo and the tent with bright white light. Immediately a few torches, or projectors, separate from the source. They swing and approach, catch his glance, and while Tibo continues to look in amazement, an approaching torch sends a strong pointed shock-wave pulse with a bright light flash aimed at the man’s glance. Involuntarily, Tibo turns his face away to the left from the dazzling flash of light, and the pointed shock wave hits him in the temple, he sustains the ‘fracture of the rh temporal bone’. He cries in pain and falls unconscious. He lets go of the flashlight, which lands on the tent roof (later rescuers will find this flashlight lying there). Zolotaryov and Dubinina rush to him from the tent. They bend over their friend lying on the ground and try to pull him to the tent entrance. Zolotaryov is in front, Dubinina is behind. They hold Tibo and from their bent position look at the swinging torches, searching for a human glance. Maybe they see something even more horrible and inexplicable. They also get a blow of a pointed shock wave, which was probably aimed at their glance, but due to their abruptly raised heads and change of position, they receive a blow in the ribs. Zolotaryov sustains ‘five broken ribs on the right side on the breast and mid-axillary line, with haemorrhage into axillary muscle’. He was in a bent position, with his right side exposed to the light and shock-wave source. Dubinina has ‘four broken ribs at left on the mid-clavicular and mid-axillary line and six ribs at right on the mid-clavicular line’, i.e. she looks behind her at the source of light and shock wave and she gets a blow in her back. This causes her tongue to tear off. If they were standing still at the moment of the shock-wave pulse, the blow would have hit their glance, their eyes. All three received very serious wounds, but two of them had nevertheless retained an ability to move for some time. According to the autopsy, such injuries could not have been inflicted either by a stone or a fall on stones, since the skin and the soft tissues remained undamaged. The above injuries are very much like an injury from an air-shock wave. The possibility is not excluded that those three were not just badly injured by a shock wave, but also dazzled by a bright flash of light coming from the swinging torches or from the source of light and preceding the shock wave. Involuntarily, they reacted to this bright painful flash of light and changed their body position. In a brief moment they were hit by a pointed shock wave. Thibeaux-Brignolle was unconscious, but he could have still shown signs of life for two to three hours. Dubinina might have lived ten to twenty minutes after being injured. She might have stayed conscious. Zolotaryov, being less injured, might have lived longer. In the heat of the moment, both Dubinina and Zolotaryov could have continued moving by themselves. The other six hikers, already preparing to sleep in their places in the tent, get alarmed. The light appearing from nowhere and penetrating into the tent through the curtain, the groans of their friends crying that they have been wounded by light torches … Maybe it was something even more terrible and aggressive that they saw near the tent. It may be that, besides the blast wave, as these torches got nearer they emitted a narrow-focused infrasonic beam of energy (pulse), which acted physically on the hikers, inflicting mortal wounds and psychologically affecting the other six in the tent. ‘The human hearing capacity lies in the range from 16 to 20,000Hz. Sounds above or below this range act on the human body. Infrasound in the range of 7– 8Hz is the most dangerous for humans. It is the frequency at which many human internal organs oscillate; 7Hz is the average frequency of brain alpha-rhythms. A sufficiently high infrasound amplitude (volume) may be the cause of rupture of vital organs, epileptic seizures, bouts of panic’ (magazine Kaleidoscope, №28, 10 July 2006). Could it be that Lyuda Dubinina lost her tongue due to the effect of infrasound? The others in the tent were also affected by infrasound but to a lesser degree. They were not injured but the infrasound made them panic. Panic breaks out in the tent. Where to run from these lights, those swinging and killing projector-torches? There is no escape through the tent entrance! The escape is blocked by the raging light! Someone cuts the tent wall from inside, they rush out, having no time to put on their outerwear. They don’t know yet that they must just turn away from the light, not to look at the torches, and then, in a minute or two, those killing torches would move away and leave them alone. But they did not and could not know that. It was enough for just one of them to keep looking at the swinging torches for the light to stay near. The territory around the tent was flooded with the white flouncing light. It made them run, without their clothes on, away from the tent, away from that terrible place. Were they panic-stricken? I think yes. That period of contact with an unknown ‘light force’ and the action of infrasound inside and outside the tent was the period of utter panic. This is only natural, given the extreme situation they were in. This is confirmed by the fact they had run so far away from the tent without warm clothes, which was a sure way to death on the cold and windy winter night. A similar view regarding the start of the tragedy was expressed by Alexsey Koskin, a hiker who had visited the Dyatlov Pass. In a letter to the editor of a Moscow newspaper he expressed the view that the members of the group were alerted by something outside the tent and the first three who went outside were confronted by something dangerous, which I believe was the shock wave. I believe the skiers tried to pull themselves together, they took Tibo who was unconscious and, helping the other wounded, started moving away from the tent in an organised way, down the slope. The half-dressed hikers were moving down, towards the edge of the forest, not in the direction of their storage shed by following their own previous day’s ski track, but further north. Why? Simply because in the direction they had come from by day there was now the source of light, and danger. They could not have moved in that direction. Willingly or unwillingly, someone would look back at the light, and the light responded to their glance and pointed its beams at them, and this made them move further and further, down the slope and away from the tent. One of the skiers who was the last in the line followed the track made by the others, carrying unconscious Tibo on his back. Lyuda Dubinina, badly wounded, was moving with someone’s help, then she was also carried. Wounded Zolotaryov moved by himself. Twenty-five days later, the rescue party found the tent and human tracks of pressed snow, the ‘columns’ of footprints leading 500m away from the tent. The February winds blew loose snow from the mountain slope, leaving only the snow ‘columns’ of human footprints. A path made in snow by human feet keeps until all the snow thaws away. Virgin snow near the path gets blown away or sets down from the warm air in spring, while the pressed snow columns stay longer and would be the last ones to thaw. So the skiers left this 500m long track of pressed snow ‘columns’. The snow near the ‘columns’ was gone with the wind so, when found by the rescue party on 26 February 1959, the tracks rose above the coat of snow. Two, or maybe three, wounded hikers were dragged over the snow. The closer to the forest, the deeper became the snow. Sinking in 2m deep snow, with tremendous effort the hikers carrying their wounded stopped at the edge of the forest near a cedar standing on its own. Judging by the tracks, they covered this almost 2km distance in about one and a half to two hours. The wind was still very strong near the cedar, so the wounded were carried 70m further down, near the frozen stream. The snow was very deep there, but the wind was not so strong. There, the beams of light did not follow them, and they did not see the light any more, since it stayed higher up on the mountain, near the tent. The hikers cut spruce branches for the wounded and started making a hole in deep snow to hide them from wind and frost. Already all the members of the Dyatlov group had their feet, hands and faces frostbitten. On the cold, windy night they were left without outer garments, mittens and caps. The hikers realised that without warm garments they would not live until morning and would surely freeze. What to do in such a situation? It might be good to make a big fire to get warm until morning. Why did they not do that? Most probably, they abstained from making a big fire for fear of attracting the lights, to avoid a repetition of the horror they had felt near the tent. They probably supposed that the light of a candle in the tent, a burning match or a flashlight had provoked the aggressive action of that unknown light force against them. They did not know that the ‘light set’ did not react to the light of a campfire, or an electric torch, or noise. It only responded to a human glance. They could not move deeper into the forest either, because they had not the strength to carry the wounded across that deep snow and could not leave them alone. They also understood that they should not go too far from the tent, because their clothes and skis were there and they would need them to get out of the Taiga to civilization. It is tens of kilometers to any inhabited places. They could only rely on themselves. They dug a hole in deep snow near the frozen stream and hid their wounded from the wind and cold. Kolevatov stayed with his wounded companions, who were probably already dead from mortal wounds. His foot is dislocated, bandaged with a piece of cloth. The remaining five go 50–70m to the stand-alone cedar. They understand that they need to get back to the tent. Once there, they would collect the tent, the stove and clothes and bring them on skis down to the wounded. They would then make the wounded warm and get warm themselves. But the flouncing light that has wounded their friends is still there, near the tent. Rustem Slobodin climbs up the cedar to see the tent. Breaking the lower dry branches with his frostbitten hands, and leaving pieces of skin from his palms, he climbs up the cedar to a height of 5m. He can see from this height the tent flooded with the light, but the cedar branches close the view. He breaks branches to make an opening for a better view. The branches, though thick, give way easily in the frost (cedar is a generally fragile tree). Slobodin sees that the dancing light is still there, near the tent. He feels very cold up the tree, but continues watching. At approximately 10.30 pm the skiers hear a strong snapping sound as of an electric discharge. Slobodin cries from the cedar that the light near the tent is gone, and that means the way to the tent is open (Ranger Rudkovskiy reported hearing a similar sound before the light was gone on 29 August 2002). At this moment, a squally wind rises and blows Slobodin from the cedar. Falling, he tries to grab branches with his frostbitten hands, but they break under his weight. He falls down and hits his head on the tree trunk or protruding roots. Slobodin was found with an injury: ‘cranial vault fracture 6cm long, with a parting up to 0.1cm’. In the heat of the moment Slobodin pays no attention to his bad wound and wants to crawl to the tent. In two to three minutes the squally wind dies down. After that, Igor Dyatlov decides to make a small fire from cedar branches to serve as a light landmark for those crawling across the snow to the tent. Two of them, Doroshenko and Krivonischenko, stay to support the fire, while Dyatlov, Slobodin and Zina Kolmogorova make for the tent. It is a hard job to make their way up the slope in deep snow. It is like pulling up your body from a boggy marsh at every step. Why did they not use their old trail to get to the tent? It may be that the blizzard had swept all traces, and they feared to take the wrong direction in the dark and fail to find the tent. Or probably they decided that they would reach the tent quicker moving in a straight line, with the fire acting as a landmark behind them. Desperately, with their last strength, the three half-dressed frostbitten hikers try to make their way to the tent across deep snow. Their palms and feet get numb and stiff. The tormenting pain of frostbite rises higher and higher in the body. Their bodies tremble from hypothermia and cramps. There is no way to escape the cold and the biting wind. To get warm they try to crawl faster across the snow. But they quickly lose strength and breath. The last bits of strength and warmth are lost. They get sleepy. Their life forces are exhausted. They freeze. George Krivonischenko and Yury Doroshenko supported the fire as long as they could, it kept on for one and a half to two hours, but it could not make them warm. They put their frostbitten feet and hands into the fire but did not feel the pain. They froze. Rescuers found them near the cedar tree with burnt hands and feet. By midnight, only Kolevatov was still alive. He had been given the task to stay in the depression near the stream close to the wounded Thibeaux-Brignolle and Lyuda Dubinina, and to wait for the others to come back with the tent and clothes. Kolevatov goes up to the cedar, finds Krivonischenko and Doroshenko dead, cuts their clothes off with a knife and brings the clothes to the wounded. The clothes cut and taken off Doroshenko and Krivonischenko were later found on the dead body of mortally wounded Lyuda Dubinina. Would she still have been alive then? Hardly probable. Kolevatov could not believe that she was dead and tried to make her life last as long as he could, and could not leave her. So he froze near her, waiting in vain for his friends to come back with the tent and warm things. Cold death has taken him too. At about 2 am it was all over. The blizzard was covering over with snow the dead, cold bodies of the nine hikers. My description of what had happened to the Dyatlov group from the moment of setting up the tent on the slope of Mount Kholat Syakhl to the death of the last of the hikers is not yet an established fact. This is my own version of the incident or, if you like, a new version of the tragedy. It is based on the diary records of the hikers, the materials of the investigation, and the facts I personally met with on 11 September 2002 in the Ivdel district, and what V. Rudkovskiy saw on 29 August 2002 in the Denezhkin Kamen nature reserve. One should not try to find a logical explanation of the developments of this tragedy. Why had the skiers acted so? Why had they moved in that direction and not in the other? Many of their actions on 1 February 1959 seem wrong and illogical to us. But they were without clothes, and they all froze. They were in an extreme situation, and could not have acted otherwise. No one knew what to do in that situation, in the presence of that ‘light set’. They all fought for their lives desperately to the end. I think that it was the ‘light set’ that appeared with the fall of the night on the eastern slope of the Ural Mountains, reacting to a human glance by sending swinging torches and an infrasonic shock wave, which caused the hikers to leave the tent and finally killed the whole of the group. Should any one of the Dyatlov group have remained alive to tell about the ‘light set’, the story would probably have been interpreted by the authorities at the time as the ‘machinations of imperialists’ and they would not have acknowledged what actually happened, since it was outside the official ‘materialistic’ view of the world. Investigator Ivanov had his own opinion, which did not fit in the framework of materialism. However, we must also thank the authorities. Huge material resources were involved in the search for the missing hikers, involving transport and aviation, also helicopters (which were quite rare in the 1950s). Not many missing hikers and alpinists would have received so much attention. Rescue teams, hunters, the military and investigators all took part in the search. In that deserted place, under severe winter conditions of the north Urals they performed a huge amount of work. The information gathered by these people will someday allow the cause of the Dyatlov group’s deaths to be found out. What did the official authorities do after the tragedy? They made the relatives sign a non-disclosure declaration; they wanted the dead to be buried in Ivdel, not in Sverdlovsk; they closed access to the area for hiking for three years. This caused multiple rumors about tests of some secret weapon in the area, and that the true information was being concealed from the people. But what to conceal? No one really knows what happened. Yet the causes of the tragedy need to be discussed, for the simple reason to suppress futile attacks on cosmonautics and intelligence services. What might a ‘light set’ be doing in the №15 pit? Why did it set light on the waste rock dump? The pit hides nothing secret, just common manufactured mining machines, general mining technology and the dump, which is a pile of limestone mixed with clay. If intelligence services needed such information, they could easily get it in daytime, without the need for a light show. And what were they looking for in the dense forest beyond Mount Denezhkin Kamen, where ranger V. Rudkovskiy had watched this phenomenon? Most probably, this one and the same ‘light set’ makes its appearance in different parts east of the Ural Ridge following some programme built into it by no one knows who and no one knows when. It may be doing ground surveys at definite locations by picking information with a light beam. – 29 August 2002: 60°30" N 59°25" E, from 10 pm to 2.30 am. Observed by V. Rudkovskiy in quarter 357 of the Denezhkin Kamen nature reserve. – 11 September 2002: 60°40" N 60°15" E, at 11 pm in quarter 11 of the Laksa forestry. The ‘set’ stayed there approximately from 9.30 pm to 2 am. – 1 February 1959: 61°45" N 59°20" E. The eastern slope of Mount Kholat Syakhl. Time approximately from 6 pm to 10.30 pm. According to Rudkovskiy, the light appeared shortly before it got dark. Probably, the ‘light set’ starts its survey after dark and continues at certain points of the earth for four to four and a half hours. Rudkovskiy claimed that at 2.30 am he heard a loud snapping sound, like from a strong electric discharge, and then the light was gone. After that, for two to three minutes, a strong squally wind rose. We may suppose that on 11 September 2002, the ‘set’ started working in №15 pit after dark, i.e. at 9.30 pm, and finished at 2 am. On 1 February 1959, on Mount Kholat Syakhl, the light the hikers saw appeared at 6 pm and went out at 10.30 pm or around this time (plus or minus thirty minutes). Could space satellites have recorded this light on 29 August 2002 and 11 September 2002? It might be possible to clarify the time of operation of the ‘light set’ by this data. Or maybe there are records of similar light effects in other places? I always find it difficult remembering the event of having seen the ‘light set’, the more so every time I have to prove to someone that this had really happened to me. I try not to think about this as some awful experience. It was probably for this reason that I put this subject aside in 2002. Rudkovskiy had a similar reaction, as he told me himself. Rudkovskiy’s former friend in the nature reserve, V. Yefimov, told me that when he met Valentin after the night spent in the woods near that ‘light set’, Valentin looked a bit ‘haywire’ and sluggish, especially the first day after it had happened. Then, gradually, he began to feel better. After August 2002 Valentin was seriously ill twice, although nothing of the kind had ever happened to him before. In 2004 he underwent serious surgery. After the meeting with the ‘light set’ I myself had two serious injuries in the Ivdel district. I would not link my injuries directly with what I saw on 11 September 2002. But still, these are issues to be considered. After I read the material of the Dyatlov case investigation, it dawned on me that we, Rudkovskiy and myself, had got off easily. We could have gone mad or received a due portion of a shock wave from the ‘light set’. We were lucky, just because of having grasped in a short while that the ‘set’ responded to our glance and that one should plainly look away from the source of light and the approaching torches. For a group, this may have been impossible to have been quickly understood. Science moves forward. In the flow of information we may sometimes oversee serious scientific discoveries that have been made in recent times. Under the guidance of scientists, a new, fifth, state of matter was obtained at an orbital station in outer space: frozen plasma. Before that, mankind knew of only four states of matter: solid, gaseous, liquid and plasma. Here is the discovery of one more: the frozen plasma state. It opens up great opportunities in power engineering and prospects for building spacecraft capable of reaching other planets and stars. New super-heavy elements appear in the Mendeleev periodic table. When stores of oil and gas come to an end on the Earth these elements will allow power to be safely generated from them. Also amazing scientific research results have been obtained in the USA and Russia: ‘graphic thought record’ (‘myslegraphia’ in Russian) – an imprint of a human thought may appear on photographic film. In other words, thought may be photographed. There was an article about such effect in Komsomolskaya Pravda in April 2006. Could the ‘light set’ be equipped with an instrument able to catch human thought via a glance? When the person looks away, the ‘set’ loses sight of the person and leaves him or her alone. Or possibly does not lose sight of the person, but processes human thought according to some internal program and determines whether such a ‘witness’ needs to be eliminated. This smells of something extraterrestrial. The fact that the ‘light set’ may not just amaze people with its abnormal behavior (its main feature is response to human glance), but also be aggressive and inflict mortal injuries to people with a fine-focused shock wave and make them panic had caused me to sit down to commit to paper my version of the Ivdel incident. According to my version, such were the injuries received on 1 February 1959 by the skiers: Thibeaux-Brignolle, Zolotaryov and Lyuda Dubinina. This made the barely clad hikers leave the tent and run as fast as they could, and finally killed them all. This is an extremely rare phenomenon. But people must work out and remember certain rules of safe behavior when meeting with such an effect, in order to avoid a repetition of the Dyatlov incident. First, one has to simply turn away and not look at the source of light. One should leave the place as fast as possible. I think if someone happens to observe the phenomenon and they have a camera with them, they should take a photo only while looking away, or with closed eyes and in a very short period of time. Such occasional encounters of people with the ‘light set’ will surely happen in the future. I am sure there have already been many. When something ends well, people make little of it (so it happened to me after I met with the ‘light phenomenon’ on 11 September 2002). Other meetings end in tragedy, leaving silent dead bodies behind and many questions with no answers. For example, in summer 2004, in the Taiga near Severouralsk, an experienced hunter left his hut without his outer clothes and never came back. Later, his body was found without signs of violent death (reported in the newspaper Nashe Slovo dated 27 February 2006). I got interested in the mysterious death of this person and decided to look for details of the case. This is what I learned from relatives of the deceased. Sergey Baryshnikov, 50 years old, a physically strong person, a miner from the city of Severouralsk, knew the Taiga very well. He used his vacation time for professional hunting. He had a hut somewhere on the River Molmys in the Perm Oblast, beyond the Ural Ridge, where he lived and hunted. On 14 August 2004, he left Severouralsk in his car to check whortleberry fields on the Yelovaya Griva (Spruce Mane) ridge. This is a place on the road to Kvarkusha. He took no gun and planned to be back home on the same day. There were two dogs with him: 3-year-old Belka and 3- month-old Buran. He drove from Severouralsk via Bayanovka to the west, in the direction of Mount Teremki on the Yelovvaya ridge, 60km from Severouralsk. There, 1km from the main road, he left his car. He did not come back, neither on that night, nor on the next day. His relatives and friends started a search. The car was soon found because they knew where he was headed for, but there was no sign of him. A rescue team from Karpinsk was invited twice, because Severouralsk had no such team at that time. People from the Severouralsk Bauxite mines (SUBR) and other city organizations were involved in the search. A sniffer dog was brought but it failed to find a trail, because of too many footprints near the car. Within a few days, his dogs Buran and Belka were found. The Mansi said that if the dogs had left their master it must mean he is dead. The search lasted two weeks. On 3 September 2004, in the vicinity of Mount Sredny Sennoi Kamen, a cedar nuts procurement team found his dead body approximately 20km from where he had left his car. He was without footwear and half-dressed. He wore only a singlet and sports pants. There were no traces of violent death. He had died of heart failure, which had developed as a result of strong pneumonia, which means that he died of hypothermia. His stomach was empty, despite the fact that at that time of year the Taiga abounds in cedar cones, many of which lay on the ground, and whortleberry. What had happened to a normal healthy man in the Taiga? Being an experienced Taiga dweller and hunter he could not get lost as he knew the area very well. We can only suppose that he had met with something very extraordinary. In the evening the hunter made a fire, took off his boots and outer garments, which were wet from the rain, and started drying his clothes near the fire. Suddenly, in the dark, at approximately 10.30 pm, he sees a strip of swinging light as if from a projector. He watches the source of light with interest. At that moment, swinging torches separate from the source of light and quickly move in his direction through the forest. In amazement, he continues looking at the torches. They get near and suddenly a strong pulse of infrasound hits him. It may be that the blow and the shock caused fear and panic in the man. He runs away from the place half-dressed and barefoot. The dogs follow him. The impact of infrasound and the shock wave was so strong that he never recovered his normal mental condition. All his further actions were inadequate to save him. Over a period of a number of days he wandered in the Taiga, did not pick berries or nuts, made no effort to make himself warm and find a way to habitation. He moved at random, without direction, in places where neither a house nor a road could be found. The weather was cold and rainy. He got a cold, a strong pneumonia developed, and in a few days he died, 20km from his car. Had it been so or not, no one can tell for sure. One can only suppose. Another supposition is that he might have died from a lightning bolt. Over 100 Russian satellites are orbiting the Earth today. There is a round the clock observation of the whole of the country’s territory from outer space. If satellite control centers had registered luminescence in that area on the night of 14/15 August 2004, such records could serve as indirect proof to the fact of an experienced Taiga dweller being affected by a ‘light set’. Can anyone take out this data of satellite observation? Do such people or organizations exist? Here are the approximate map co-ordinates of the place where S. I. Baryshnikov could have been on that night: 60°07" N, 59°20" E. If necessary, more precise co-ordinates of the places where I and Rudkovskiy saw the ‘light set’ in operation can be indicated on larger-scale maps, or using instruments, up to fractions of a second. If the three cases of illumination that had taken place at different times and locations were registered by satellites, much would be explained, the Dyatlov group deaths included.